What is the cheapest way to get from Munich to Röthenbach? The cheapest way to get from Munich to Röthenbach is to drive which costs 19€ - 29€ and takes 1h 45m. What is the fastest way to get from Munich to Röthenbach? The quickest way to get from Munich to Röthenbach is to drive which costs 19€ - 29€ and takes 1h 45m. Is there a direct train between Munich and Röthenbach? Yes, there is a direct train departing from München Hbf Gl.27-36 and arriving at Röthenbach(Allgäu). Services depart every two hours, and operate every day. The journey takes approximately 2h 11m. How far is it from Munich to Röthenbach? The distance between Munich and Röthenbach is 132 km. The road distance is 174.4 km. How do I travel from Munich to Röthenbach without a car? The best way to get from Munich to Röthenbach without a car is to train which takes 2h 11m and costs 35€ - 55€. How long does it take to get from Munich to Röthenbach? The train from München Hbf Gl.27-36 to Röthenbach(Allgäu) takes 2h 11m including transfers and departs every two hours. Where do I catch the Munich to Röthenbach train from? Munich to Röthenbach train services, operated by Deutsche Bahn, depart from München Hbf Gl.27-36 station. Train or bus from Munich to Röthenbach? The best way to get from Munich to Röthenbach is to train which takes 2h 11m and costs 35€ - 55€. 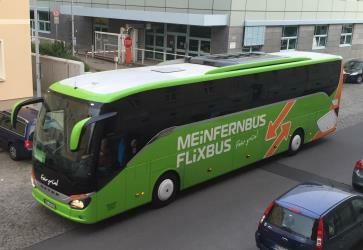 Alternatively, you can bus, which costs 26€ - 45€ and takes 3h 48m. Where does the Munich to Röthenbach train arrive? Munich to Röthenbach train services, operated by Deutsche Bahn, arrive at Röthenbach(Allgäu) station. Can I drive from Munich to Röthenbach? Yes, the driving distance between Munich to Röthenbach is 174 km. It takes approximately 1h 45m to drive from Munich to Röthenbach. What companies run services between Munich, Germany and Röthenbach, Bavaria, Germany? Deutsche Bahn operates a train from Munich to Röthenbach every 2 hours. Tickets cost 35€ - 55€ and the journey takes 2h 11m. 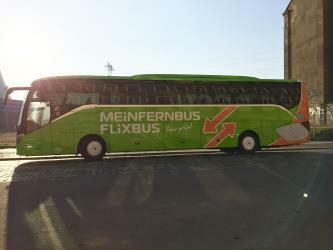 Alternatively, FlixBus operates a bus from Munich to Röthenbach 4 times a day. Tickets cost 8€ - 15€ and the journey takes 2h 40m. 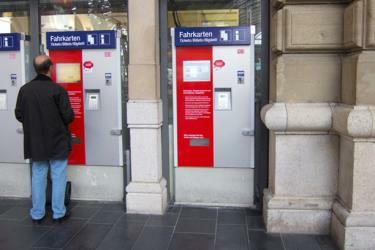 How do I get a train ticket from Munich to Röthenbach? Book your Munich to Röthenbach train tickets online with Rome2rio. Where can I stay near Röthenbach? 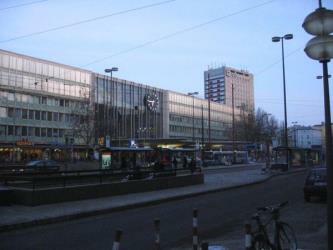 There are 924+ hotels available in Röthenbach. Prices start at 58€ per night. Discover how to get to attractions and hotels near Röthenbach. Bregenzer Festspiele (Bregenz Festival) is a performing arts festival which is held every July and August in Bregenz, Austria. The Kunsthaus Bregenz (KUB) presents temporary exhibitions of international contemporary art in Bregenz, capital of the Austrian Federal State of Vorarlberg. Commissioned by the State of Vorarlberg and designed by the Swiss architect Peter Zumthor, it was built between 1990 and 1997. The Lindau Lighthouse (German: Neuer Lindauer Leuchtturm) is the southernmost lighthouse in Germany, in Lindau on Lake Constance. It is 33 m tall and has a circumference of 24 m at its base. Notably, it has a clock in its facade. The vorarlberg museum (former name Vorarlberger Landesmuseum) in Bregenz is the state art and cultural museum of the Austrian federal state of Vorarlberg. It was founded in 1857, and has since been a centre for collection and preservation of the state's art and cultural material. The museum conducts research into this material and makes it available to the public. In terms of content, the museum's work focuses on Vorarlberg material, and at the same time considers this in a context which goes beyond the state's boundaries. The collections, which the museum is attempting both to deepen and to broaden, specialize in archaeology, history, history of art and folklore. The museum co-operates with other national, international and regional cultural institutions. Rome2rio makes travelling from Munich to Röthenbach easy. Rome2rio is a door-to-door travel information and booking engine, helping you get to and from any location in the world. 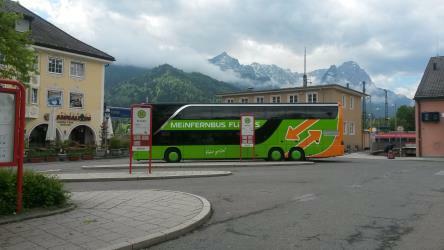 Find all the transport options for your trip from Munich to Röthenbach right here. Rome2rio displays up to date schedules, route maps, journey times and estimated fares from relevant transport operators, ensuring you can make an informed decision about which option will suit you best. Rome2rio also offers online bookings for selected operators, making reservations easy and straightforward.